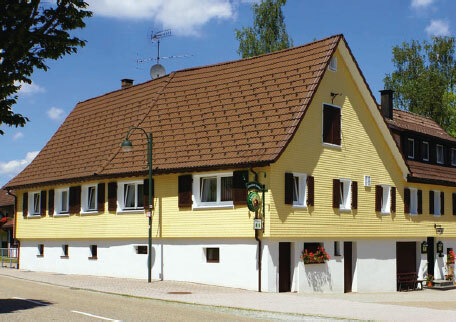 Our workshop for the log-house building course is located in the town of Schömberg in the heart of the Black Forest in the county Freudenstadt. Schömberg is conveniently situated near the B294 and the Kinzig Valley Railway, approximately 7 km from the district town of Freudenstadt. The workshop is also used as a shelter and was built by our course instructor himself in 2014. If the weather is bad you will work under cover, but if it is good the course will take place outdoors in the workshop forecourt. Full board and a comfortable recreation room with bathroom facilities are provided for your comfort and convenience.